Home > Life	> Real Life or Movie? Have you ever had something happen to you that you look back on in hindsight and it felt like it was something that could have been pulled straight from a movie? I had this experience last week and it seemed so surreal! I was driving home from work, like any other day. I got about half way home and noticed that there was smoke coming from underneath the hood of my SUV. I had this gut feeling (which I know beyond the shadow of a doubt was God) telling me that I needed to pull my SUV over and get it out of the road. I was able to pull over in this gas station parking lot (far away from the gas pumps) and I decided to just sit for a few minutes and let the smoke dissipate. While waiting, I happened to look over to the left and noticed a couple of people screaming something. I couldn’t understand what they were saying so I opened my door. It turns out they were screaming at me – “Get out!! Your SUV is on fire! !” I grabbed my stuff and got as far away as I possibly could. 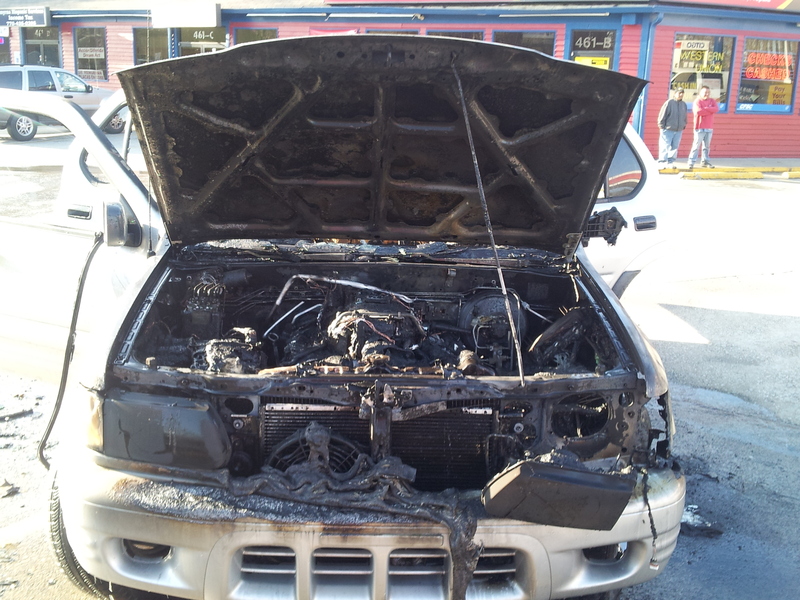 Not five minutes later, my SUV went up in flames. 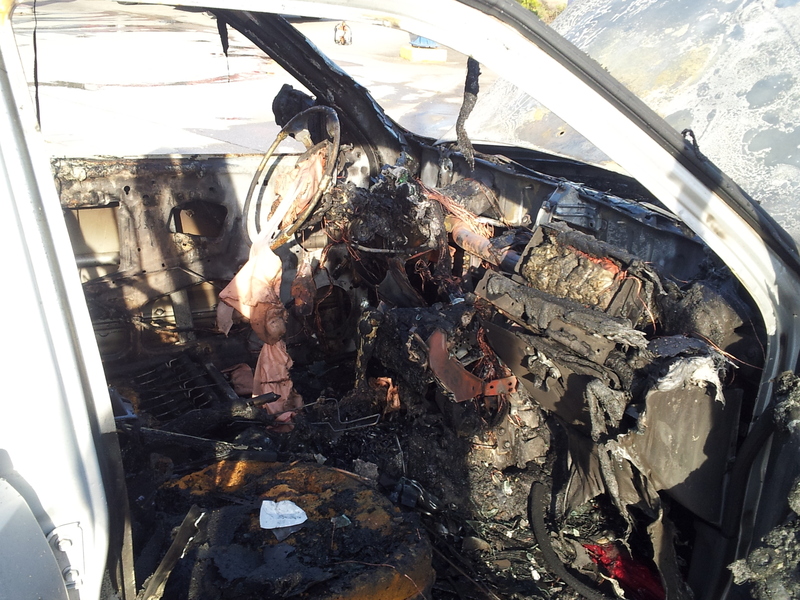 At the time, I was shaking so badly when I had the realization that I could’ve been in the SUV when it caught fire. God was definitely looking out for me! One of the merchants of a nearby store called 911 for me and the fire department was there in a few short minutes. They hosed down my SUV and it was no longer recognizable. 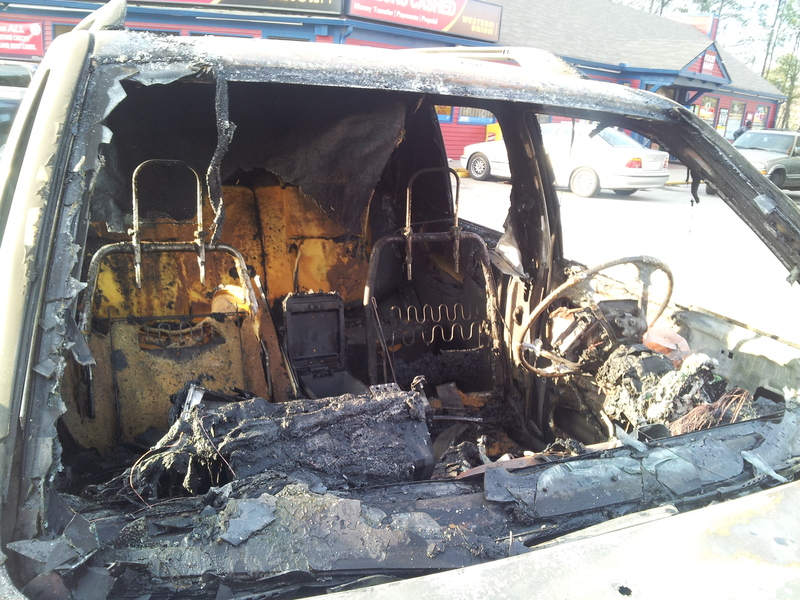 Fortunately, neither I nor anyone else was injured as a result of the fire (I was the only one in my SUV). A tow truck came and took what remained of my SUV to their lot and I spoke with the fire chief about what I need to do in order to file a claim with my insurance company. It was like something straight out of the movies – seeing a vehicle go up in flames in an action movie. 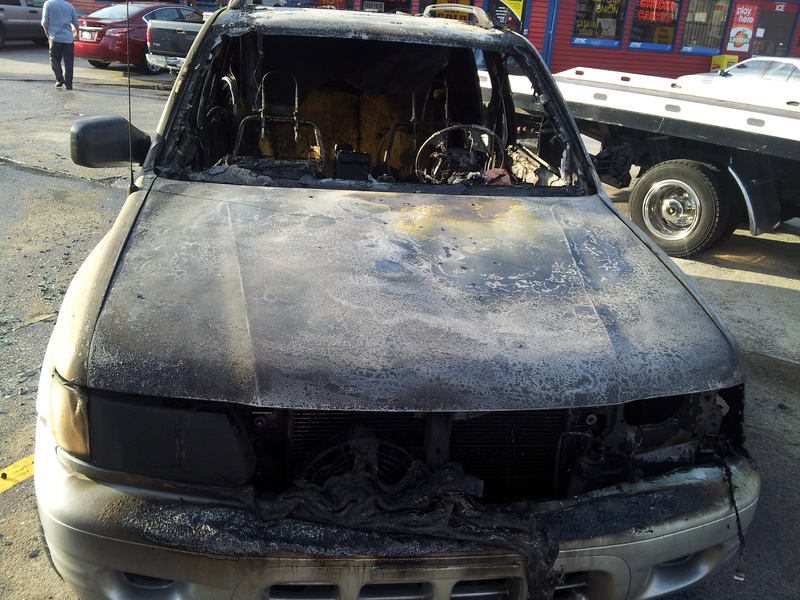 I was not able to sleep for the first few nights as I kept having these visions of being stuck in the SUV, not being able to get out as it was engulfed in flames. Last night, I took a couple of Benadryl and went to bed around 12:00 AM and didn’t wake up until almost 2:00 PM. My youngest brother took several pictures of the remains of my SUV (in case my insurance company needed them). Below are just a few of the pictures.